EdTech Help GuidesED206 Internet and Communication TCAHow Do I Post On An Online Discussion Board? 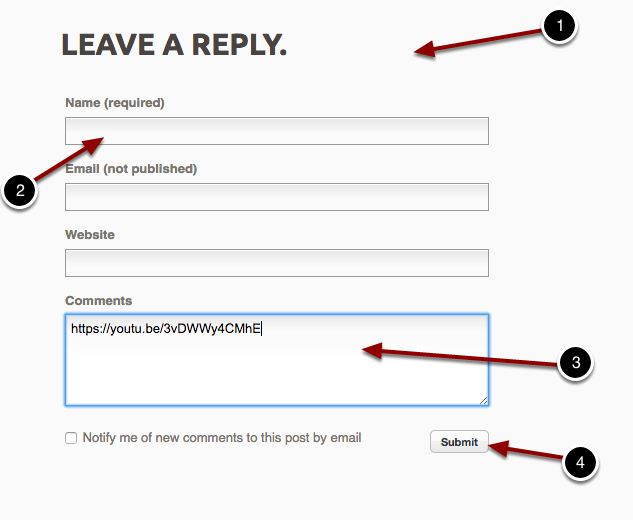 Below are instructions on how to post on an online discussion board. 2. Select the More... option. 3. Select the Discussion Board. 1. Click on the text "Reply To This"
Post a reply to the thread titled “respond to this thread” with your name in the title and the URL where you found the video or audio clip used above in the body of the post. 1. Scroll down until you find the thread. 3. Copy and paste the video/audio clip URL into the Comments box. Prev: How Do I Send An Email To Myself? Next: How Do I Download And Install Screencast-O-Matic?